Jennifer Walter, crusading attorney and cousin of Bruce Banner—aka the Hulk—received her powers through a blood transfusion from her relative after being near-fatally shot. 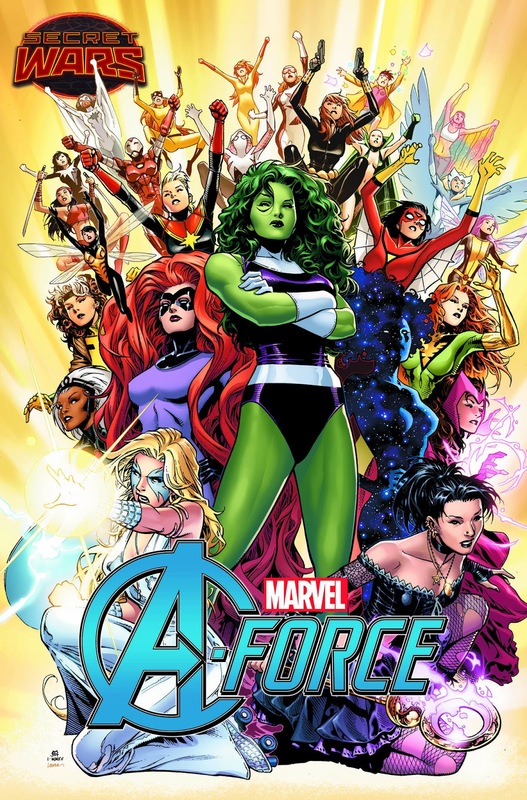 She-Hulk first joined the Avengers, before briefly taking the Thing’s place in Fantastic Four. During this time, a radiation leak solidified her mutation. Born and raised as an “elite” Inhuman, Medusa knew early on her destiny to be queen of her people. She battled the leader of the Alpha Primitive worker race, an act that ended in tragedy as the fight left her amnesiac. Coerced into joining an evil version of the Fantastic Four, the crimson-haired warrior would later be recovered by her family and restored to her throne. Alison Blaire’s mutant abilities to create patterns out of lights came into being during middle school and she used them to succeed as a musician. She gained the eye of the Hellfire Club’s Emma Frost and Charles Xavier, both of whom attempted to recruit her. Alison ended up turning down Professor X’s offer, but her training with the X-Men helped her learn how to control her gift. The daughter of dark wizards, Nico fled with the original Runaways but soon learned that she inherited her parents’ powers. Briefly known as Sister Grimm, she became the leader of her close-knit team after learning her boyfriend Alex remained loyal to the adults. After a confrontation with the police, the kids decide to take matters into their own hands by fighting their parents. As a child, Jessica Drew became ill due to Uranium exposure. Her father injected her with a serum made from the blood of several species of spiders, which provided her with powers. Brainwashed by Hydra, Jessica fought S.H.I.E.L.D and director Nick Fury, before being helped through her troubles. Returning to New York, she ended up working alongside the newly re-formed Avengers. Wanda Maximoff and her twin brother, Pietro, came into their powers as teenagers, before Magneto helped them join the Brotherhood of Mutants. As the Scarlet Witch, Wanda fought against with X-Men, and eventually abandoned her bad-girl ways, joining the Avengers with help from Hawkeye and Captain America.